The path to a more sustainable future runs through logistics. Transportation is the second biggest global emitter of greenhouse gases (GHG), yet the logistics sector is often left out of the climate conversation. The 23rd Conference of Parties (COP23), a major annual forum for climate policy dialogue, recently moved transportation into the spotlight, paving the way for more proactive emissions reduction measures. Suzanne Greene, manager of the MIT Sustainable Logistics Initiative (SLI), a new initiative from the MIT Center for Transportation & Logistics, participated in the COP23, the first CTL representative to join the international event. COP23 was considered a “technical COP,” establishing how the Paris Accords will be implemented by countries and industry starting in 2020. While 2020 is the line in the sand by policy standards, all actions are driving toward the massive reduction in GHG emissions needed to meet 2050 targets: at the minimum, keeping global temperatures less than 2 degrees Celsius above the levels experienced during pre-industrial times, with proactive measures to keep temperatures under 1.5 degrees Celsius. The Paris Accords rely on each country to put forth emissions reduction targets – known as nationally determined contributions (NDCs) – to meet 2050 goals. However, transport-specific targets related to passenger transportation are included in 43 percent of NDCs, and freight transportation is left out of all by 13 percent of NDCs. International modes of transportation, such as maritime and aviation, slip between the cracks and are left out by most countries. COP23 represents a significant step toward reversing this trend. The first ever Transportation Day took place at the November event, which drew attention to the intersection between domestic and international policy and industry efforts. The gap in the NDCs perhaps inadvertently shifts the onus to industry to track and mitigate their freight transport emissions. With freight demand, and thus GHG emissions, on the rise, companies are engaged with climate action at unprecedented levels and with an increasing sense of momentum, as demonstrated by the the COP23 launch of the Transport Decarbonization Alliance. The Science-Based Targets initiative (SBTi) is releasing a tool for transportation starting in early 2018, which SLI Manager Suzanne Greene has been involved in developing. The SBTi empowers companies to use their emissions data to set climate targets that are in line with projections for efficiency improvements and new technologies determined by the International Energy Association. The SBTi, however, bases the targets on the company’s own emissions calculation, which is a challenge for the many companies with transport emissions in their supply chain and often left out. The forthcoming CDP questionnaire for transportation will require the use of uniform methodologies for calculation and reporting, the GHG Protocol (passengers) and GLEC Framework (freight). This will enable comparable science-based targets, increased transparency between transportation buyer and supplier and new pathways for partnerships around emissions reduction and sustainable decision-making. This growing expertise in corporate carbon accounting is an opportunity to improve existing transportation NDCs and to support the creation of NDCs where transportation is now left out. 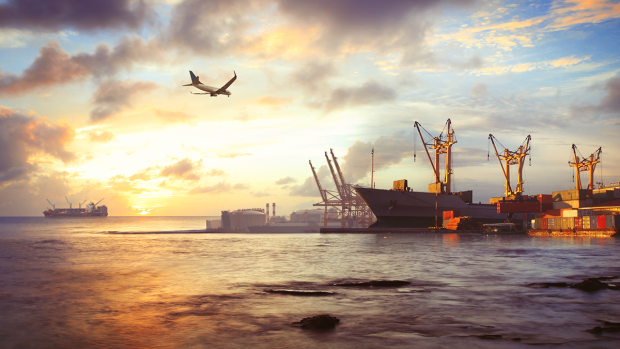 The data companies routinely gather – and increasingly share – can also be used to close the gap on maritime and aviation emissions, which remain stranded in international waters and airspace. Freight transportation shows a tremendous promise for emissions reduction through both efficiency improvements and technology adoption that will benefit both the climate and human health. Industry is poised and ready to act – let’s incorporate logistics into the NDCs and make sure all progress is being tracked and recognized. This article originally appeared on Supply Chain @ MIT blog and was republished with permission. Suzanne Greene is Manager of the MIT Sustainable Logistics Initiative.